Ever since Lucifer was announced, it’s been touted as the most-awaited Malayalam film of 2019. There is enough and more to cheer about — Prithviraj Sukumaran makes his directorial debut with a Mohanlal film, Murali Gopy scripts a Mohanlal film for the first time and it has quite an ensemble: Manju Warrier, Indrajith, Vivek Oberoi, Tovino Thomas. 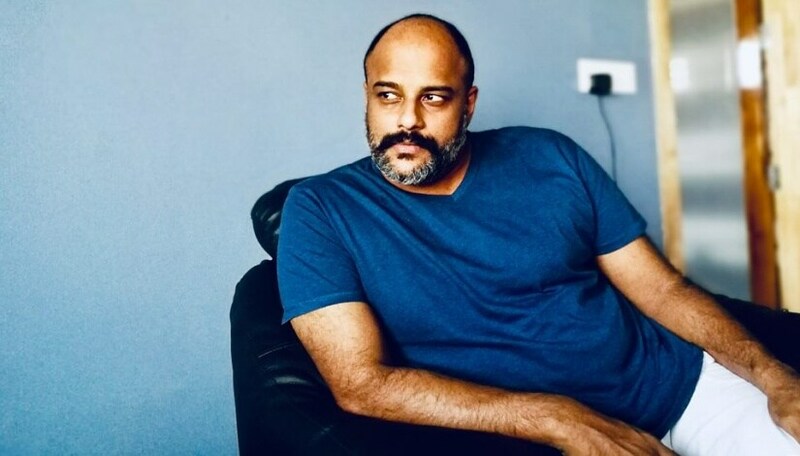 Son of veteran actor Bharath Gopi, scribe turned writer-actor Murali Gopy made his debut as a script writer and actor in 2004 with the Lal Jose-directed Rasikan. But surprisingly he took a sabbatical and emerged eight years later scripting Ee Adutha Kalathu (directed by Arun Kumar Aravind), widely regarded for its radical and tautly written screenplay. It was one of the several films that ushered in the new wave in Malayalam cinema. Then he wrote a socio-political thriller, directed by Arun Kumar Aravind, called Left Right Left (2013); a big budget extravaganza Tiyaan (2017), directed by Jiyen Krishnakumar, set in the North Indian heartlands that focused on the socio-political unrest in the country; and a period film that was part spoof and part satire, Kammarasambhavam (2018), directed by Ratish Ambat. He has been equally selective as an actor (seen only in 21 films). The multifaceted actor-writer, who is considered one of the most relevant and talented screenwriters in Malayalam cinema today, discusses his upcoming film in an interview with Firstpost. The name Lucifer is interpreted as a fall from heaven. While in classic mythology it’s perceived as a male figure bearing a torch, other interpretations include Shining One, who has often been referred to as a glorified angel and brother of Jesus Christ. Was the leading actor’s character sketch influenced by any of these intriguing interpretations? Or was it just a random screen title that came later? As far as I am concerned, randomness is never allowed while naming one’s film. Screen titles are the first and the foremost pointers towards the thematic paradigm of any movie. Here, the biblical resonance that the title has is intentional, but it has nothing to do with the scriptures as such. Any title, or a word, for that matter, holds a thematic mood of its own. In that sense, there is no other word that can represent this movie the way Lucifer would. Prithviraj has always conveyed to me his liking for my screenplays and styles, and that he would be happy to direct my screenplay as his debut. Incidentally, while we both were shooting for the movie Tiyaan, in 2016, I bounced the ‘L’ one-line off him, and he instantly identified with it. I have always looked for that creative inner vibe with the directors I choose to write for. And I must say, Raju, with his total command over the craft of filmmaking, is the ideal choice for a movie like Lucifer. Was Stephen Nedumpally written keeping exclusively Mohanlal in mind? Also, this is the first time you are writing for a superstar... what was the biggest challenge? When I conceived it, the lead character had to have a brand of gravitas that is very rare to find on screen… and Lalettan’s (that’s how Mohanlal is fondly called in Kerala) face was the first one that came to my mind. The challenge was to present Lalettan the way both Raju and I wanted to see him on screen. However, even though this is an out-and-out Mohanlal starrer, each character in this film will have a distinct space and metre of their own. The performing terrain of Lucifer belongs to every single actor on its cast list. 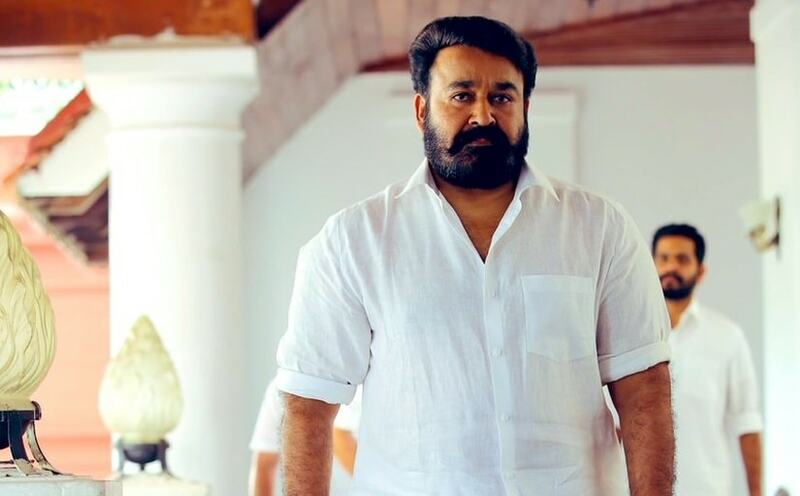 Translating the character from paper to screen — what did Mohanlal add to the character? A gifted actor has the capability of going deeper than the character-brief and touching the soul of the written word. We all know what Lalettan is capable of! Prithviraj the director and Murali Gopy the writer — how would you summarise the partnership and the journey? On a personal front, both Indran (Indrajith) and Raju are like brothers to me. On the professional front, Raju is one of the most dedicated and skilled directors I have seen. It is phenomenal the way he memorises the screenplay, down to the last written word of it. As a writer, I could not have asked for anything better than that. Is this the most mainstream film you have written so far? Your character sketches are always detailed and nuanced. And Lucifer seems to have a long line-up of characters like most of your films. Can you explain your character development process? There is no formula to ascertain how writing happens. The only phenomenon I would equate it to, is the rain. The clouds form within you, you wait. It thickens, you wait. It brims, you wait. It fills the firmament, fully. And then, it rains, on paper. And how do you brief the actors? The screen brief of a character is actually the director’s call. The writer’s brief is about the interiority of the character; the soul of it, the reason of it. Dileesh Nair, co-writer of Mayaanadhi, said dialogues are improvised on the sets. That makes the actors aware of the character’s growth. How does that work with you? If you ask me, the method changes with every genre. If a film is all about behaviour and if the genre is realism, improvisations work. In most other genres, where intense and internalised acting is involved, a performer will have to operate within challenging spaces. There are scene-making styles, where absolutely no improvisation is possible and where the actor has to really up his ante and perform to the written word. Each genre has a grammar of itself. How emotionally invested are you with the characters you create? Director Ranjith said he couldn’t get over the death of one of his characters. Has that happened with you? Every character I write, usually starts as a voice within me. Writing, to me, is a spiritual act of purging. I actually am freed of a character, once I put him/her to paper. It’s like freeing a bird from its cage and wishing him/her well. What is the most crucial element that goes into the development of a superb character? Well, that crucial element would be... not caring whether it would be a “superb character”. During the process have you ever felt that the characters start to speak for themselves? As I said, the whole process of writing is a churning of sorts. Of the many sub-processes that take place in writing, dialogue with one’s characters too would happen, and they do speak for themselves. However, it is a controlled chaos. Is there a daily writing schedule? Most writers admit that there is a part of them in some of the characters they write. Is that true in your case? It is true. A man is a collage of many characters. And if he/she looks deep within, it is terrifyingly wonderful, the range. However, writing not only involves the characters that lie dormant within, but also those who you see around abundantly, with your naked eye. So, the spectrum involves everything. Kammarasambhavam, I thought, had a structure different from your earlier ones and I personally felt it didn’t get the audience it deserved. In hindsight, what do you think went wrong? I think it is not for me to answer that question. It is for the world to answer. Ever since its TV premiere, the film has been getting enormous response. My inbox is now being filled with appreciation. All I can allow myself here is nonchalance. Does box office failure affect the writer in you? It would be wrong for me to say it doesn’t, after the kind of effort I take with each of my screenplays. But there has, so far, been a protective sheath in me, that has guarded my interiority, from such professional failures as well as personal downs. And I’ve always been grateful, to Providence, for it. Do you follow any guidelines when you sketch a female character or are you more worried about how it will be perceived, as opposed to earlier? It is imperative, I feel, to be sensitive to such themes. For example, a scene that shows a female being thrashed, physically or mentally, just for the sake of invoking an applause, will naturally be a no-no for any sensible writer. Having said that, I would also say there is a need to see people as people. And more importantly, to see fiction as strictly fiction. Who are your favourite screenwriters? And how did they influence you? Padmarajan, Christopher Nolan, Quentin Tarantino, Takeshi Kitano, Sreenivasan, Salim-Javed, Lohithadas… there are many. I love every piece of sincere writing, in every possible genre. A sincere depiction is what I would vouch for. And while I am inspired by good work, I am not influenced by them. Shyam Pushkaran-Dileesh Nair, Zakariya Mohammed-Muhsin Parari, Midhun Manuel Thomas, Anjali Menon… I like them all. Of the films, I would pick Sudani from Nigeria and Mayaanadhi.